In the aftermath of the 2004 Tsunami disaster, nowhere was cricket’s reaction to a humanitarian crisis quicker and more direct than in Sri Lanka. At a time where political disharmony and corruption threatened to derail the relief process, it was Muttiah Muralitharan who used his status as a national cricket hero to galvanise an immediate response to the island’s adversity. Murali began by heading a convoy delivering food to Jaffna, an obliterated Northern town in desperate need of support, and – helped by international team-mates Mahela Jayawardene and Kumar Sangakkara – spend days after the disaster struck visiting a number of settlements around Sri Lanka’s coastline, facilitating the provision of aid. Inspired by Murali’s drive to use cricket as a healing force, the ICC hastily organised the World Cricket Tsunami Appeal match in early January 2005, which saw 22 of the game’s biggest stars play in front of a crowd of 70,000 to raise AUS$ 15 million. 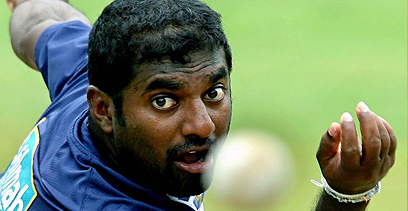 In an interesting subplot, the game saw the return to Australia of ‘that man’ Muralitharan. Having been no-balled for allegedly throwing the ball in his bowling action by Darrell Hair in 1995, Murali endured severe heckling from home crowds during Sri Lanka’s 2002/03 tour to Australia and refused to tour in 2004 following inflammatory comment by the Australian Prime Minister John Howard, it seemed unlikely that he would make the trip Down Under. In practicing what he had asked of Sri Lanka’s politicians, however, Murali set aside any lingering animosity and took the field. Equally laudably, when Muttiah tossed the ball in during Australia’s innings, the crowd responded as one with a standing ovation, ending 15 years of conflict between on the game’s greatest players and one of its greatest nations. Further charity games followed in New Zealand and England, where at Lord’s the MCC took on Brian Lara’s International XI and at the Oval, an Asia side and another Rest of the World XI contested a Twenty20 match, with the latter raising more than 1 million pounds. In Kennington particularly, this was just the start of cricket’s efforts to assist post-tsunami. As most English hearts and minds focused on a much-anticipated Ashes series, Surrey CCC turned their attentions to ensuring that cricket’s contribution to the post-disaster regeneration extended beyond detached fundraising. In a joint venture with the Sri Lankan Cricket Board, the club provided expertise as well as funding from the Tsunami Appeal match in construction of the so-called ‘Surrey Cricket Village’; a 45-house development and a new cricket ground in the village of Maggona, an hour south of Colombo. A similar project, undertaken in conjunction with the MCC and the Foundation of Goodness – a successful charity initiative set up in 1999 by Muttiah Muralitharan’s manager, Kushil Gunasekara, in nearby Seenigama was opened at the same time as the Surrey Cricket Village, with a charity match and a coaching clinic involving several England players, including Ian Botham, helping to raise more funds and the profile of Sri Lanka’s plight. Since 2004, the Foundation goes from strength to strength.